If you would like to sponsor the club in some way, please contact us. Bishops Lydeard Association Football Club is an FA Charter Standard Community Club, that has a well-established youth section, senior section and girls/women’s section with over 350 participants. The football club playing fields and clubhouse are located in the rural village of Bishops Lydeard, five miles north-west of Taunton, Somerset. Welcome to Bishops Lydeard AFC. I think it’s important that everyone wishing to join the club understands our philosophy, a little bit of history and more importantly where the club is heading. The club is over 100 years old and has recently developed into one of the largest clubs in the South West. Having played at various venues in the village is now firmly entrenched at Darby Way. Due to the growth of the club, youth, ladies, and extra men’s sides, we had to expand our facilities in 1999 and now play on Morris Meadow, kindly rented to us by Mr. Morris. This is the field beside the main pitch. We also use the adjoining field, Glanfield Meadow – named after Mr. Glanfield who kindly sold us the land when he stepped away from farming. In 1998 the adult and youth section joined forces to become one club. This held many advantages which you will see today when visiting the club. What was once a couple of men’s sides, and an odd youth team run by an adult for the village kids has developed into football for the community at all ages and genders. The senior side of the club has a very successful Ladies section which has been led by Julie Bowker since it was formed in 2001. We now have two ladies teams; the Firsts playing in the South West Women’s Football League and the reserves in Somerset County Women’s League. The adult men’s teams are headed by the First team who play in the Somerset Senior Premier League; there is also a Reserve Team in the First Division of the Taunton & District Saturday Football League, and a newly formed Colts team that play in Division 5 of the same league. The club has always looked to innovate; it was the first club in Somerset to achieve the FA Community Charter Status and has maintained this status since it was won in 2002. Being an FA Charter Standard Club means we have to maintain standards, both on and off the field. All coaches must take an FA Level 1 Coaching Course, a Children’s Workshop (so they can be aware of, and identify, any child abuse taking place), and an FA First Aid qualification, plus they must all undergo a CRC check. This is all for the benefit of the young players in the club, to assist in their development and personal well-being. We also have a Club Welfare Officer, Dave Donohoe, who is responsible for liaising with the Somerset FA Welfare Officer, and ensuring best practice within the club. In 2008 the clubs dream of developing an all-purpose club house to replace its ‘Shack’ was made reality when Iain Hunter formally announced that he had achieved the funding required to start the build after 5 years of meetings, fund raising and form filling. In January 2009 the whole club celebrated along with Iain when the then England Under 21 coach Stuart Pearce arrived at the club to formally cut the ribbon. This could not have been achieved without the club joining together as one. Over the period many an event was put on and enjoyed by the club members. Like all good TEAMS everybody pulled together with one objective, achieve the dream. To coincide with the club house the committee made a decision to become a Community Interest Company. Why, to protect the assets for the future. The CIC prevents anyone from taking over the club and walking away with the money, instead any profits would have to be reinvested back into the club to provide suitable alternative facilities. 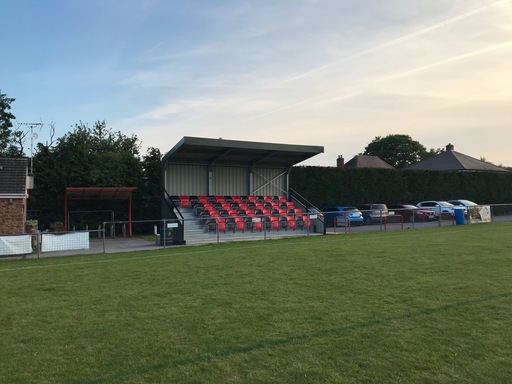 This was key to the future as the club not only owned a half a million pound facility, it also owns land prime for development on the edge of the village green belt. With increased ongoing expenses, rates, insurance, utilities, kit, training fees, coach qualifications, and so on, we needed to start to supplement what the players pay for membership. A fundraising committee was introduced! This committee still exists today and has one simple objective – ‘Organise fundraising events to join the parents of the players to the club’. Annual events are published in our Club Handbook, please come along, bring your friends and enjoy the fun whilst supporting your club. The philosophy of the club is to provide a safe and fun environment for the youth to train, practice, express themselves and play football. The same principle is applied to the adult section with one overriding difference – push players to play at the highest level they can. This will mean that BLAFC will ultimately lose players to a higher standard of football until we can match the level, something that is a constant topic of conversation on a Saturday afternoon between those who come and support. 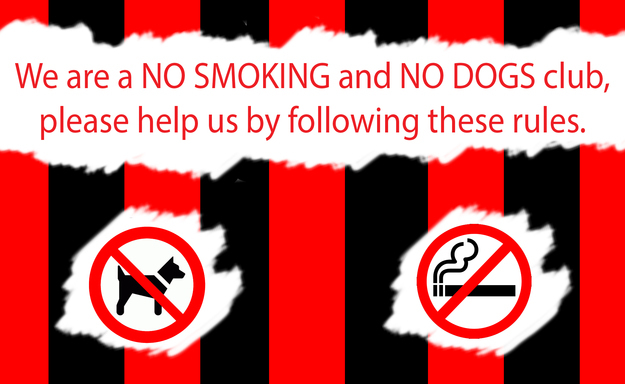 Finally, BLAFC operate a strict code of conduct within the grounds of the club, there is a A frame as you walk towards the club house that details what we expect from everyone visiting BLAFC. Please read the detail, and more importantly adopt the behavior to make the game enjoyable for all involved. © 2016 - 2019 Bishops Lydeard AFC. All rights reserved. If you wish to withdraw consent from us holding your personal data please email snslmorris@btinternet.com requesting your data be removed from the site. However, this will only be possible if you cease your membership.